Perfect location for year round activities and relaxation. 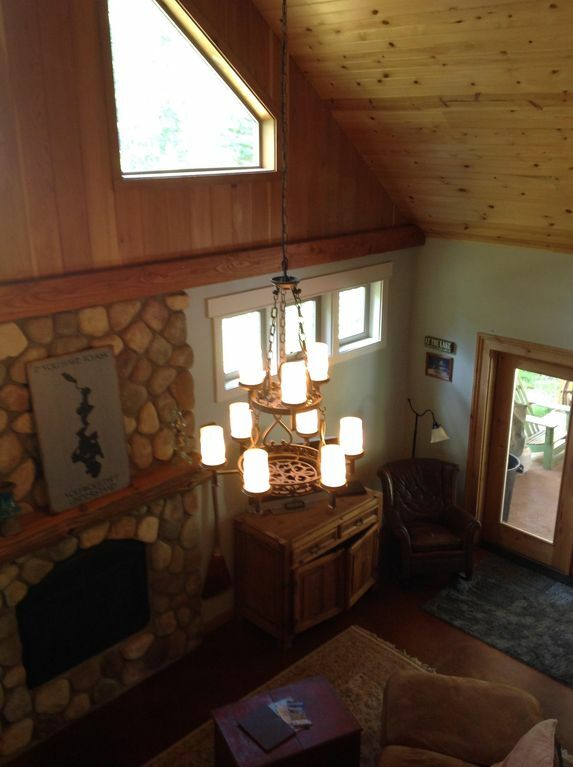 Visit Priest Lake year round and stay in this beautiful, cozy, new rustic cabin with large loft. Enjoy the peaceful surroundings with the convenience of easy, year round access. Full kitchen, main floor bath with large walk in couples shower. Two main floor bedrooms. Large loft with full size bed and 6 built in bunk beds. Loft bathroom with soaking tub. Covered back patio with gas grill and nearby fire pit. Lots of outdoor seating. Gas fireplace, radiant floor heat, covered parking and charm galore! I am a Spokane native with 3 amazing kids and a true love for Priest Lake. The property on which this home was built has been in my family since 1970. Priest Lake is home away from home for me and I'm happy to be able to share it with you! I am employed with the state of Washington working with aging, disabled and vulnerable adults. I love making a difference in the lives of the people I serve. I enjoy good wine, being on the water, reading, sewing and entertaining my amazing friends and family. tub, Claw foot soaking tub in loft area. Sheets & blankets provided. Owner requests that guests consider bringing sleeping bags for bunk beds; however, there are sheets provided for the bunks as well underneath the window bunk. Plenty of parking for boats, toys, and autos. Towels for showering are provided. Beach towels are not provided. Great room open to kitchen and eating area with large sectional and cozy gas fireplace. Surround sound system with iPod docking station. Available rentals at Hill's Resort and other nearby resorts. One hour drive to Schweitzer ski resort and 49 Degrees North ski resort. Plenty of cross country skiing trails surrounding this cabin. Beautiful PL golf course 1/2 mile north of this cabin. Nice, comfortable, clean, great location! Had everything we needed (minus washer/dryer). For the most part we were out and about, using the cabin as our "home base" for sleeping, eating, and showering. We have recommended this place to another family member as they asked what we thought of this VRBO. Being able to sit out on the covered back patio, sipping on morning coffee, watching the sunrise through the trees was blissful. On one of the more chilly mornings I spotted a buck in the front yard....a photographers delight! Thank you Joe and Gina for taking the time to write about your experience!! I am so glad you enjoyed your stay:) Washer/dryer is in the forecast this coming year! Hope you’ll come back, loved having you! So nice and clean, very comfortable. we had a wonderful time, everything as described. Lots of room. very quite. Close to beaches, restaurants, stores. Thank you!!! Very nice house and location. Very comfortable for our group. Thank you for being so respectful of our cabin. Nothing makes us happier than to hear that our guests are comfortable and pleased. We hope you’ll come back again! Year round outdoor activities. Hiking, biking, beaching, boating, kayaking, nightlife, skiing, snowmobiling, snow shoe.